Growing demand continues to push house prices up, particularly in the South. 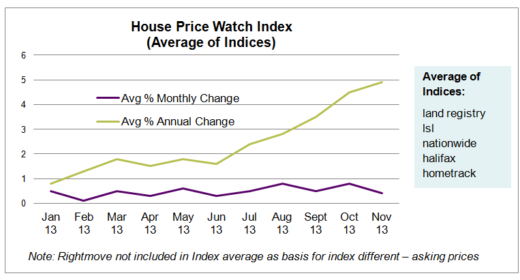 Improved economic outlook, Help to Buy publicity and record low mortgage rates are driving demand. 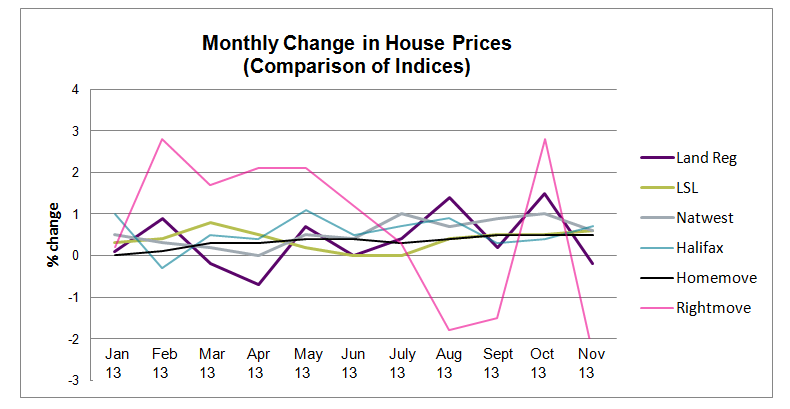 After gains last month, house prices down in North where demand/ supply gap is minimal. Prices are down in North East, North West, Yorkshire & Humberside. 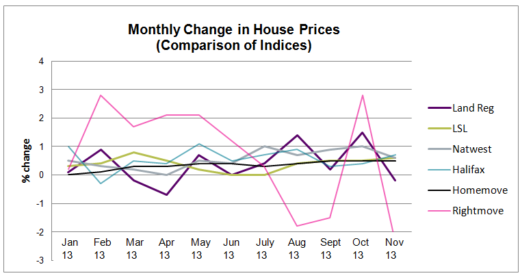 House prices in Wales up significantly 1.45% this month and all other regions experience continued uplift in prices.